Interior Restaffs Some Wildlife Refuges During Shutdown Furloughed staff will return to 38 protected sites around the country. Critics are panning the move as a way to avoid bad optics during the political tussle. The U.S. 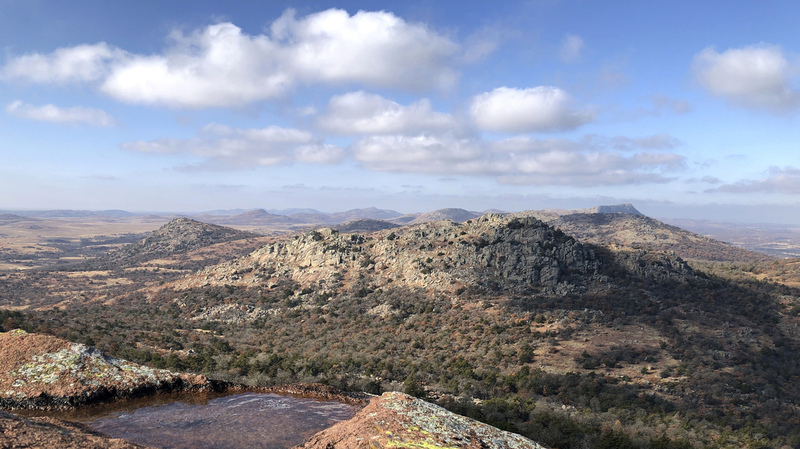 Fish and Wildlife Service is bringing staff back to keep open dozens of wildlife refuges including Wichita Mountains Wildlife Refuge in Comanche County, Okla., despite the government shutdown. "While many of our refuges have remained accessible, but not staffed, the extended lapse in federal appropriations is impacting both our ability to serve the public and to protect natural resources under our care in some places," wrote Margaret Everson, principal deputy director for the U.S. Fish and Wildlife Service, in an internal email first reported by The Associated Press. A similar story has played out at many of the country's national parks during the nearly three-week shutdown, creating public safety hazards in some cases, and damage to natural resources in others. The National Park Service announced Sunday that it was taking the unprecedented step of dipping into entrance-fee dollars to get some staff back at key national parks during the shutdown. The Fish and Wildlife Service will rely on previously appropriated funds from the last fiscal year that carried over, as well as some entrance funds, to do the same at wildlife refuges, said Barbara Wainman, assistant director for external affairs at the agency. The funding, she said, should be enough to bring back approximately 240 employees for about 30 days. Hundreds of thousands of government employees remain out of work. "We're trying to use the funding we have to both resume work on some high priority projects and activities in support of our mission and also to serve the American taxpayer whose dollars these are," Wainman said. Critics are panning the move as a way for the Trump administration to avoid the bad optics of a prolonged shutdown. "This is some ad-hoc, politically based decision making," says Jeff Ruch, executive director of Public Employees for Environmental Responsibility. "The set of rules they're playing by seems to shift every day." During previous shutdowns, both Republican and Democratic administrations have chosen to fully close national parks and refuges. This is the second time the Trump administration has gone the other way, leaving the federally protected places largely unstaffed and open to the public. The U.S. Fish and Wildlife Service Retirees Association, the Coalition to Protect America's National Parks and the National Wildlife Refuge Association posted a letter Wednesday, urging the administration to close national parks, refuges and public lands during the remainder of the shutdown. The letter cites public safety and the protection of natural resource. Another reason, according to Geoffrey Haskett, head of the National Wildlife Refuge Association, "is so people can see the effects of the shutdown and then go pressure Congress and the administration to get the government open again."